Having just completed his sold-out Spring tour in early April, Grammy Award-winning singer / songwriter Miguel has announced that he will embark on a North American tour this Fall in support of his critically praised fourth studio album, War & Leisure. The 26 date tour kicks off on August 23rd in Boston, Massachusetts, hitting major markets in the US and Canada throughout August and September, including festival appearances at AFROPUNK in Brooklyn, North Coast Music Festival in Chicago, and Life is Beautiful Festival in Las Vegas, concluding on September 28th in Seattle, Washington. OVO's dvsn will provide support and join Miguel for all North American dates. Citi Cardmember pre-sales begin on Tuesday June 19th at 10AM local time, general tickets go on sale June 22nd, 10AM local time - check www.officialmiguel.com for more info. Over the weekend Miguel performed to an elated crowd of hometown fans at the Smokin Grooves Festival and on June 22nd he will be performing live at the BET Awards. In July, Miguel will be appearing at Essence Music Festival in New Orleans, LA, Neyo in Houston and at Austin City Limits Live, also making his Austin City Limits Live taping debut. Last week Miguel teamed up with GoldLink to release new track "Got Friends" and to celebrate the initiation of the 2018 World Cup, Miguel narrated and starred in the new Major League Soccer ad campaign "Our Soccer". "Sky Walker," Miguel's lead single off of War & Leisure, reached #1 on the Rhythmic and Urban radio charts and has been Certified Platinum by the RIAA, making it one of the fastest rising hits of early 2018. At the beginning of March, Miguel released a new version of "Sky Walker" in Spanish, and teased the upcoming release of new Spanish language versions of some of the prominent singles and album tracks from War & Leisure. Adding to the highlights of the first half of 2018, Miguel joined Mexican pop singer Natalie Lafourcade at the 90th Academy Awards to perform the Oscar and Golden Globe award winning Best Original Song "Remember Me" from the critically-acclaimed Pixar film Coco. 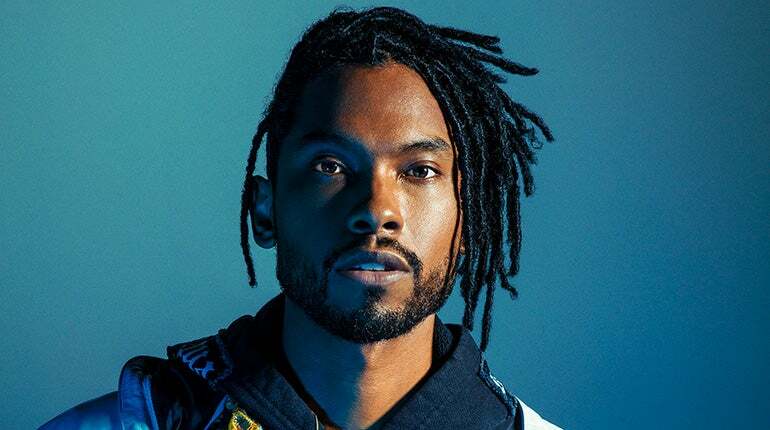 Continuing with his newfound soundtrack success, Miguel also makes an appearance on the soundtrack for the remake of the iconic 1972 film Superfly with his new song "R.A.N". The soundtrack was co-produced and curated by Future. War & Leisure has continued it's grown in 2018; Miguel performed a solo rendition of the J. Cole featured album highlight "Come Through and Chill" on The Tonight Show Starring Jimmy Fallon in April - link to watch below. Since War & Leisure, Miguel has partnered with Norwegian producer sensation Kygo on Billboard Dance/Electronic top charting single "Remind me to Forget," which the pair performed on The Tonight Show Starring Jimmy Fallon in May. Miguel and LA based alternative Latino rock band Chicano Batman recently partnered up with mitú for its TÚGETHER series. In the series, they borrow ingredients from each others' hits to create a genre-bending bilingual duet performance and collaborative effort of "Sky Walker" and "Black Lipstick".